Karma: Fate or destiny resulting from one’s previous action. Hypocrisy: The practice of professing beliefs, feelings, or virtues that one does not hold or possess. 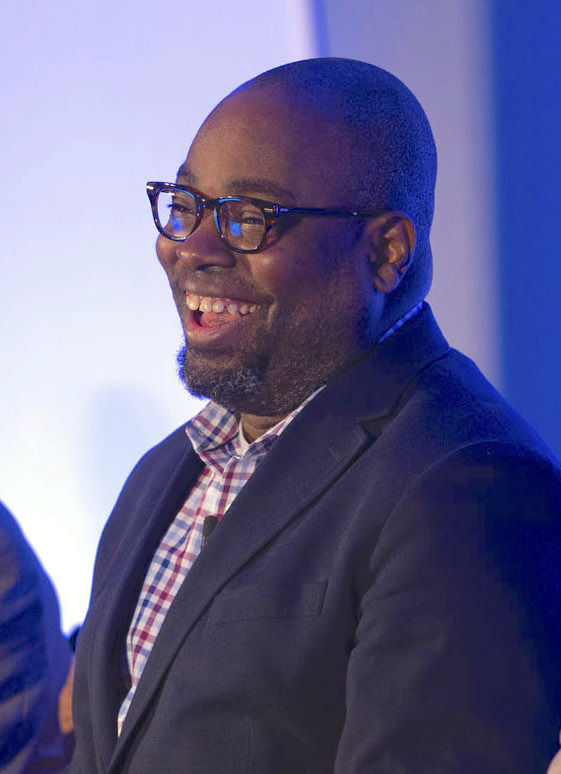 The supremely unctuous Stephen Henderson, Managing Director of Opinion and Commentary at the Detroit Free Press, got canned Friday for sexual harassment. Free Press Editor and Vice President Peter Bhatia has elected to shield us from the lurid details, a courtesy not afforded by the Free Press to the many others accused of sexual harassment during the current national feeding frenzy. The allegations originally surfaced in a press conference the Reverend W. J. Rideout III, pastor of Our God’s People Church in Detroit, held last week. Reverend Rideout got suspended from his radio show on WFDF 910 AM for his efforts. Steve Neavling, a former Free Press reporter who was fired for his contretemps with homosexual teen groomer Charles Pugh in 2012, pursued the story on his own WFDF radio show as well as his Motor City Muckraker web site. Neavling had to enjoy the predicament of the Free Press, and probably Henderson too. Henderson was already a big shot at the Detroit Free Press when Neavling got railroaded. In the weeks leading up to his comeuppance, Henderson danced on the political graves of Congressman John Conyers, Jr. and Judge Roy Moore. Somehow, he was “stunned” at his own dismissal for entirely similar activities which occurred well before his recent grave dancing. One can only imagine the depths of hypocrisy Henderson would have plumbed when the Democrats finally clear the decks to charge Donald J. Trump with sexual harassment, had he not been fired. Mr. Henderson, of course, recommended that all Republicans vote for John Kasich last year. This is the same Stephen Henderson who called for GOP charter school supporters to be sewn into bags with rabid animals and thrown into the Straits of Mackinac to die. Two weeks later, he was denouncing the Second Amendment in USA Today for facilitating murder, no less. Then he had the absolute gall to write another column at the end of the same month denouncing the “insulting language” of those same GOP charter school supporters whose deaths he had posited. In Mr. Henderson’s facile mind, only superior beings such as himself are permitted to coarsen the public debate. Mr. Henderson will continue to host Detroit Today on WDET 101.9 FM, as well as American Black Journal on DPTV. Public broadcasting has a much more tolerant attitude towards sexual harassment, as long as you have the correct politics. But his political reach just got trimmed. So, an issue finally arises that is allowing the purging of the idiots we wanted gone when nothing else was working. I see unemployment rising and the opening of high-paying jobs. Better get my resume together because its gonna be only those of us who have not committed any sexual harassment who will be able to get these jobs. In the not too distant past, a criminal record, was the only hurdle; but so many job hopefuls had criminal records that soon this became okay. I'm amused that this issue is labeling these "victims" courageous 30 to 40 years later. Really??? I remember in high school a kid snapped my bra strap--he was singing soprano for a week--and that was the end of that. In my youth, I constantly experienced--what is now defined as Sexual Harassment And now, am kicking myself for not keeping track of these these illicit acts as apparently, 30 or 40 years later, this is big news and big bucks. Who could've predicted this. You must've slept through the BJ Clinton years. What is occurring today is the natural dystopian progression that is Third-wave feminism. Hmmmm, could the end also be near for Henderson's BFF? Those two were practically attached at the hip everywhere they were seen together. It seems odd that he would be so ignorant, for so long. On Friday, I was terminated from my role as columnist and head of the editorial page at The Detroit Free Press. As a journalist and as the ongoing host of WDET’s Detroit Today, my most important asset is the trust that listeners, viewers, and readers have in me to tell the truth. So I want to start by telling you what happened. The newspaper’s action on Friday was set in motion two weeks ago when a local minister claimed in a press conference that complaints about sexual harassment had been made against several Detroit media personalities, including me at the Free Press. There were no such claims. But the allegation prompted the newspaper to conduct its own review of my work and interactions with colleagues, a review I encouraged and supported. I spoke candidly and openly about every potentially relevant interaction I could recall with a colleague. The newspaper’s review of my ten years in management at the Free Press found instances with two female employees in which my interactions, in social situations outside of work several years ago, were deemed inappropriate. One situation involved sexually themed conversations with an employee; I had encouraged that employee to disclose this interaction. In the other situation, a co-worker who was a manager in another department reported two rejected advances that she said made her uncomfortable. Neither of the co-workers involved had come forward or filed a complaint before the outside allegations were made against me. There are no other allegations. I have maintained professional friendships and good working relationships with both of these colleagues. The Free Press told me that neither of the two women want to take any action. The newspaper and its corporate owner, Gannett, still decided to end my employment, saying my conduct violated the company’s standards. I disagree with that decision and outcome, and I am exploring legal action. Lots more at the hyperlink, above, including WDET’s statement from General Manager Michelle Srbinovich. The Free Press has a very long, malevolent reach in the Detroit media market. It's fun watching all the shitlbs writhe, yes? "WDET did not see cause to terminate Stephen Henderson’s contract at this time"
That underlined phrase comes up quite often in their remarks. What even more comical is that Mr. Henderson is considering legal action against Gannett over his firing. "But I want to make a few things clear before we move forward. I want to apologize to the women involved. It was bad judgment, on my part, to have engaged in either situation,"
...you want to sue someone over something that you've just apologized for?? ?